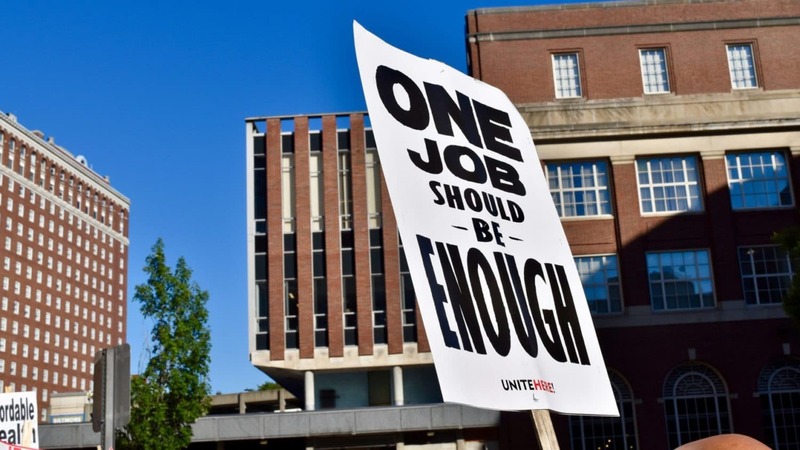 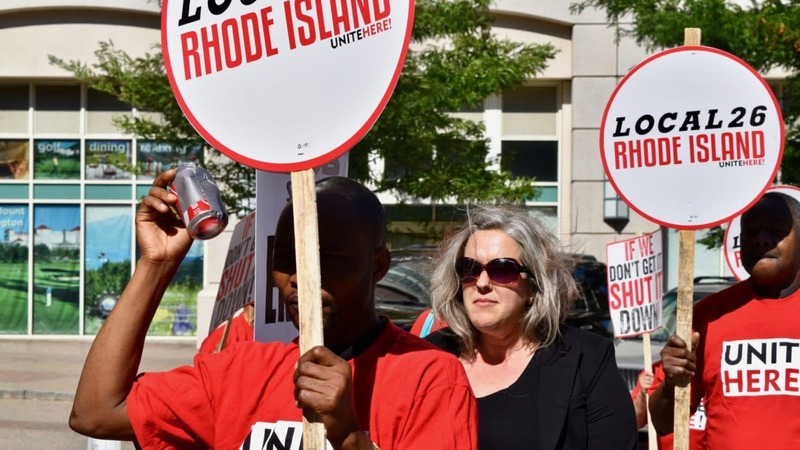 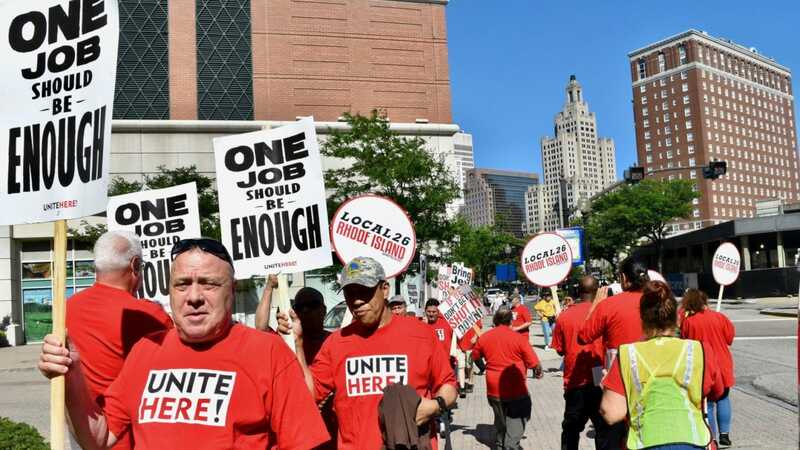 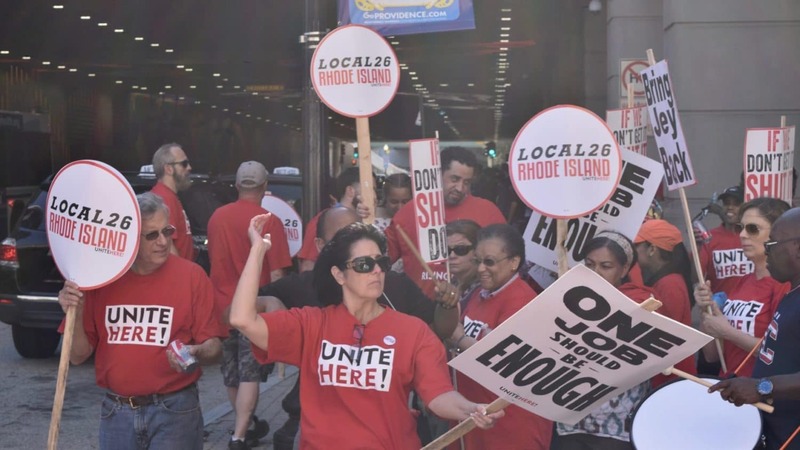 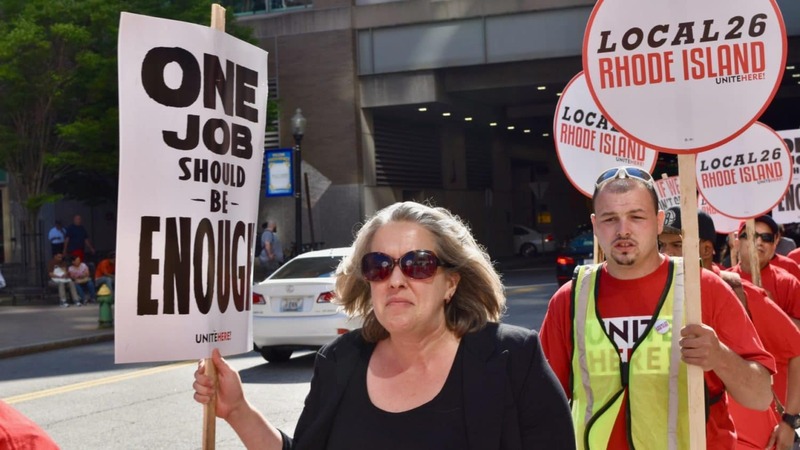 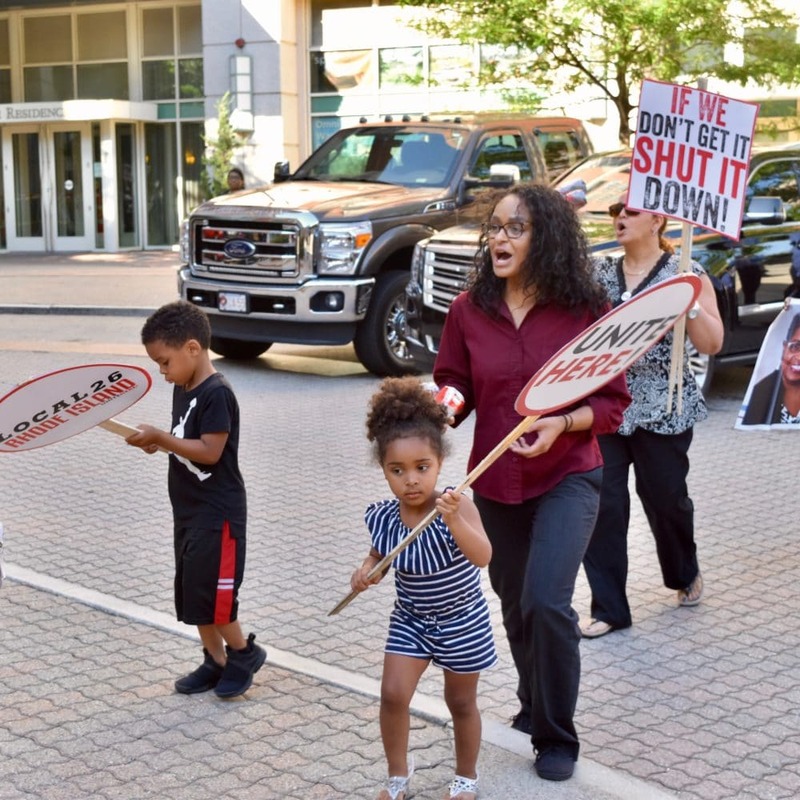 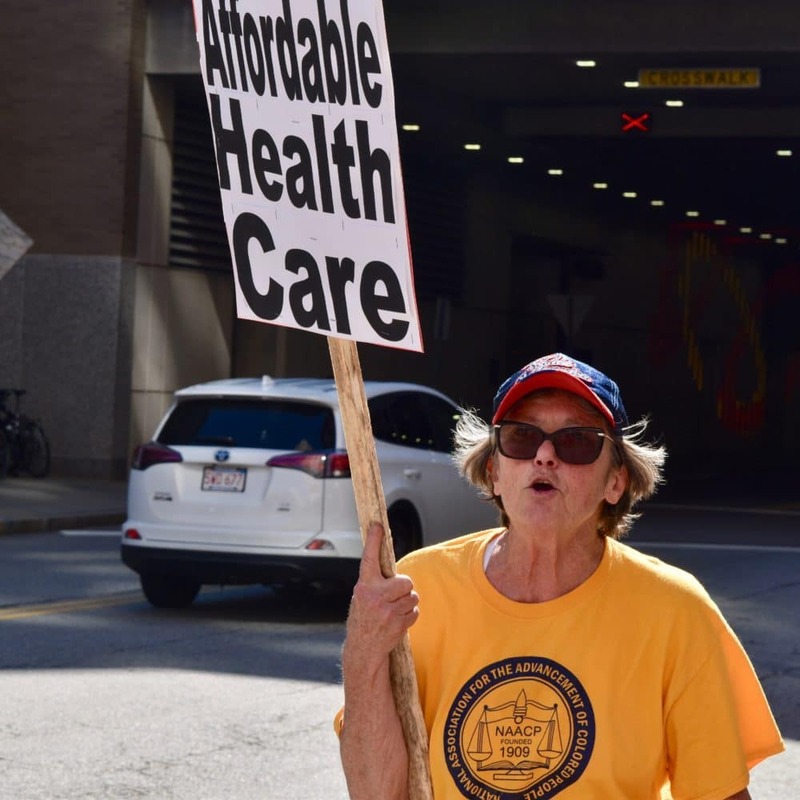 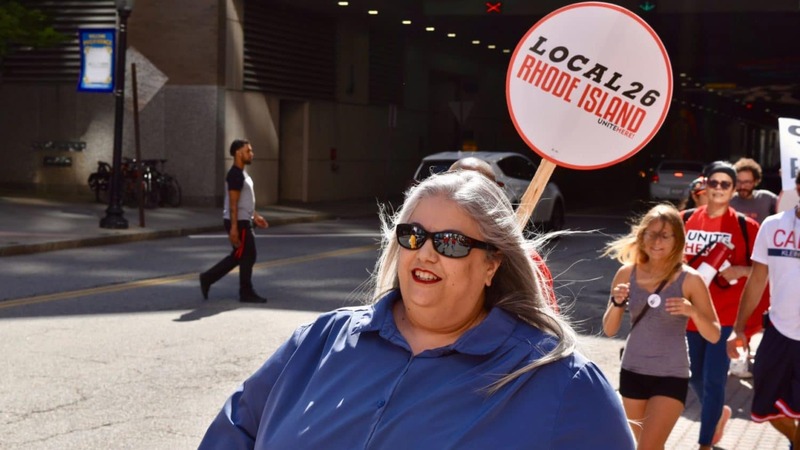 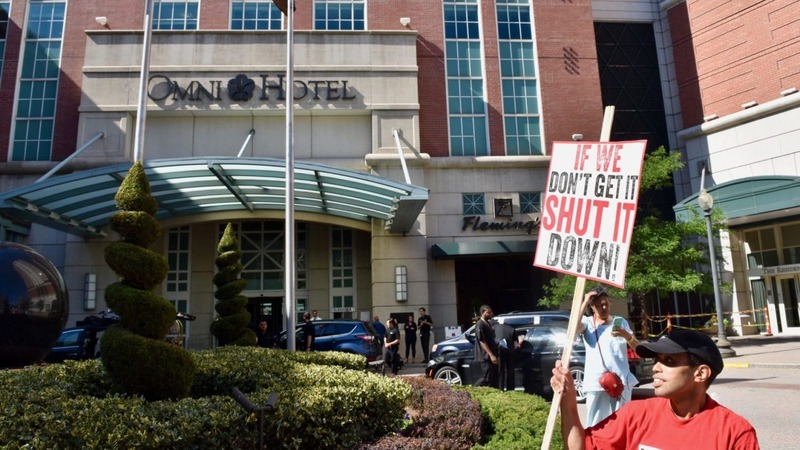 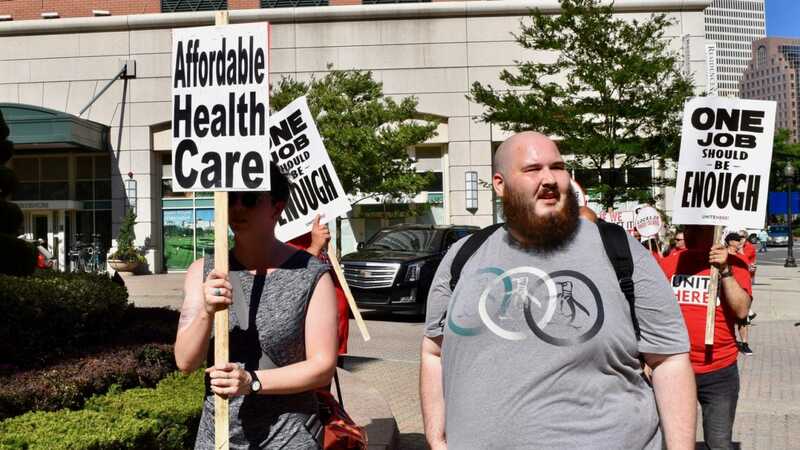 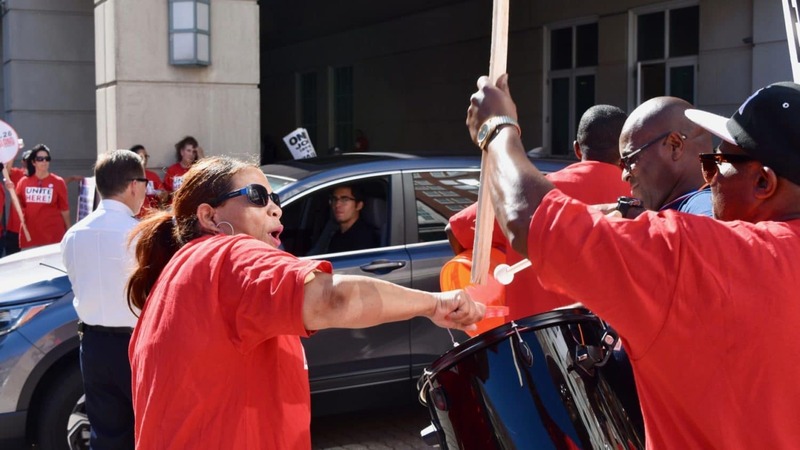 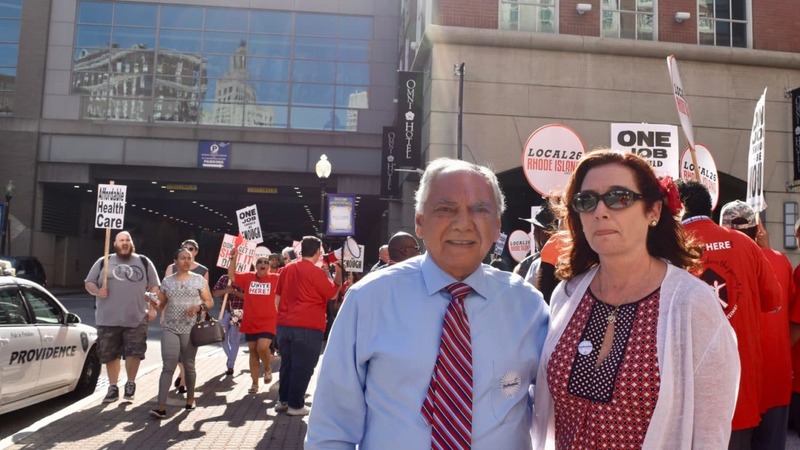 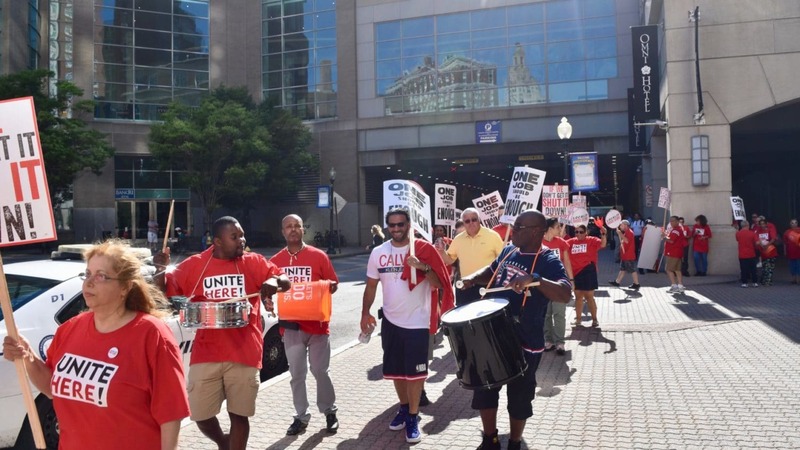 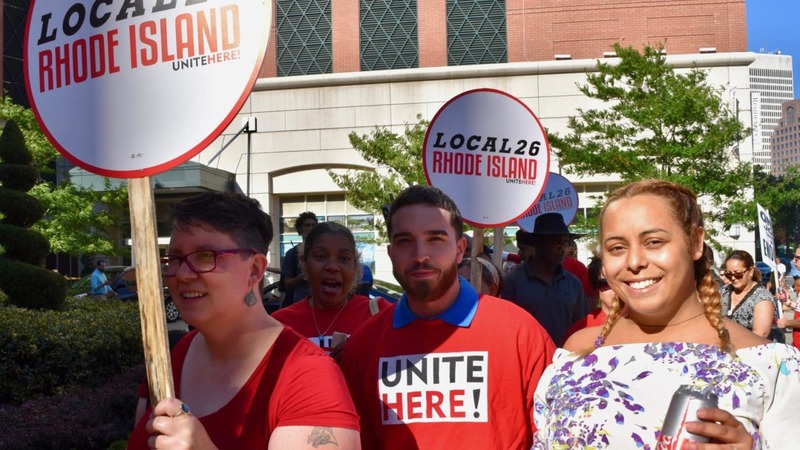 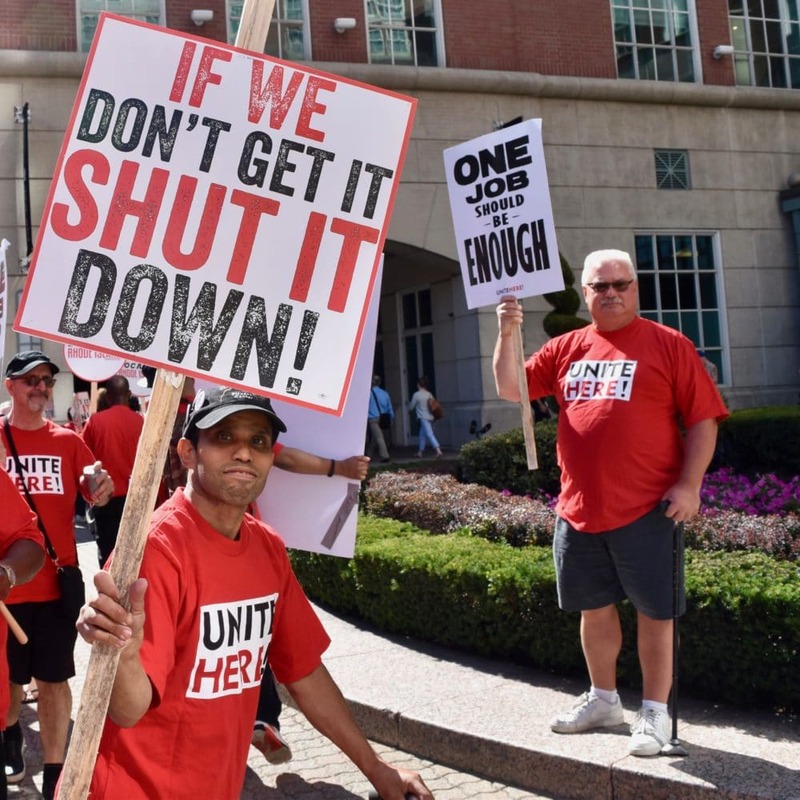 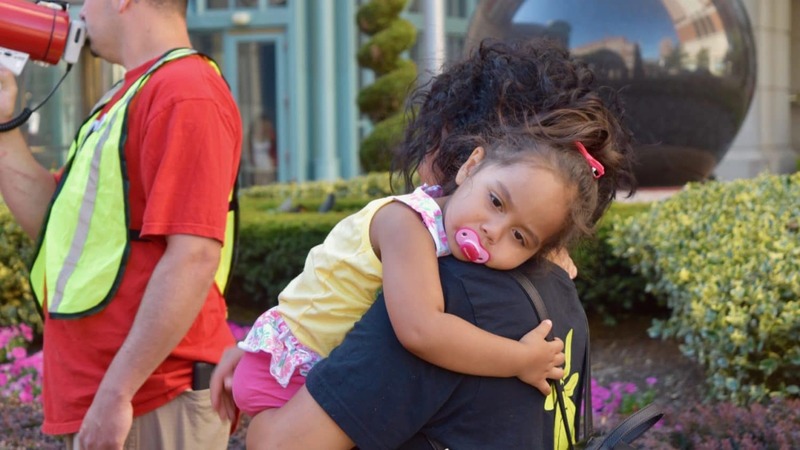 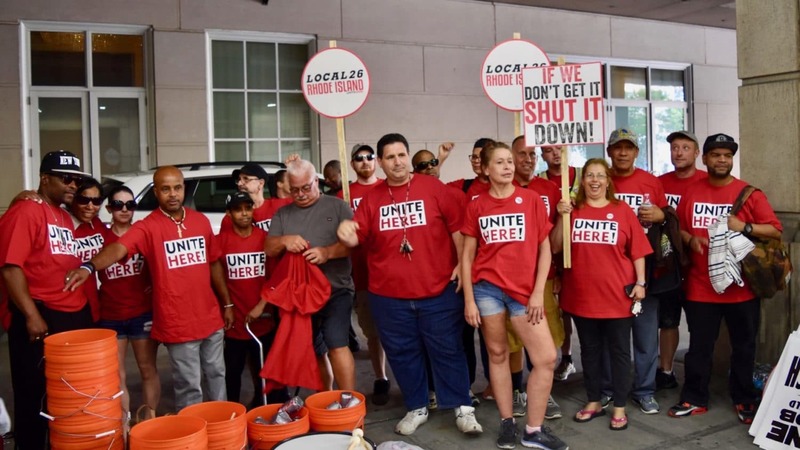 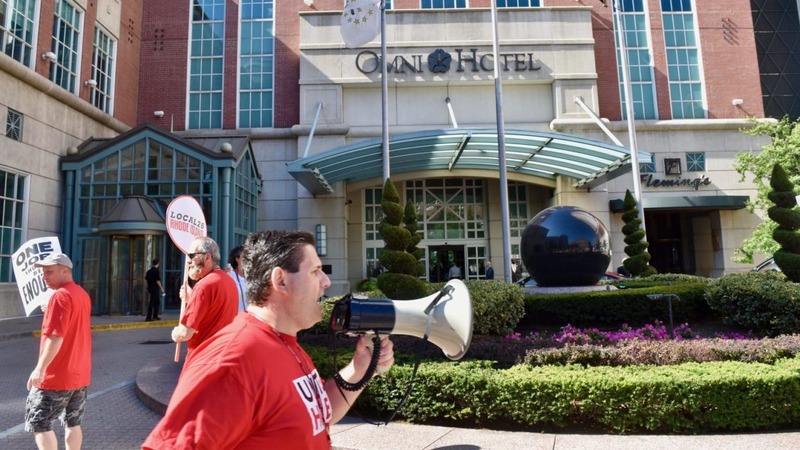 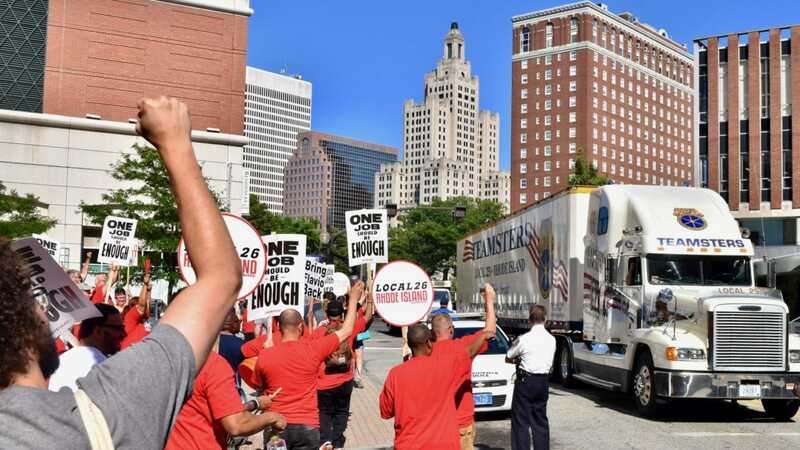 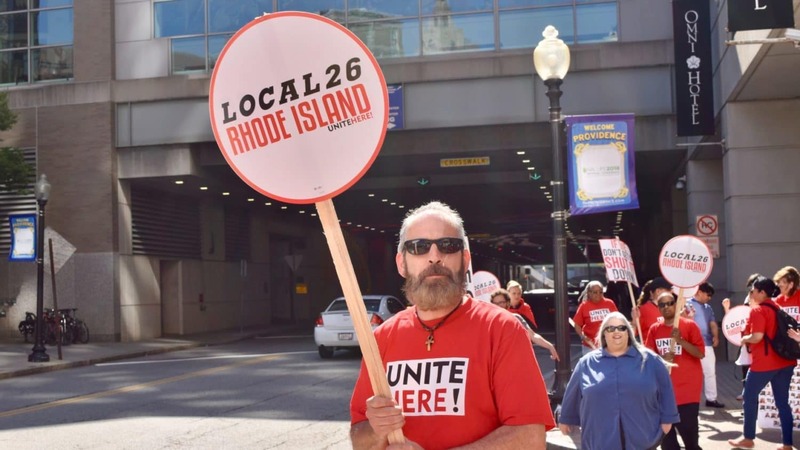 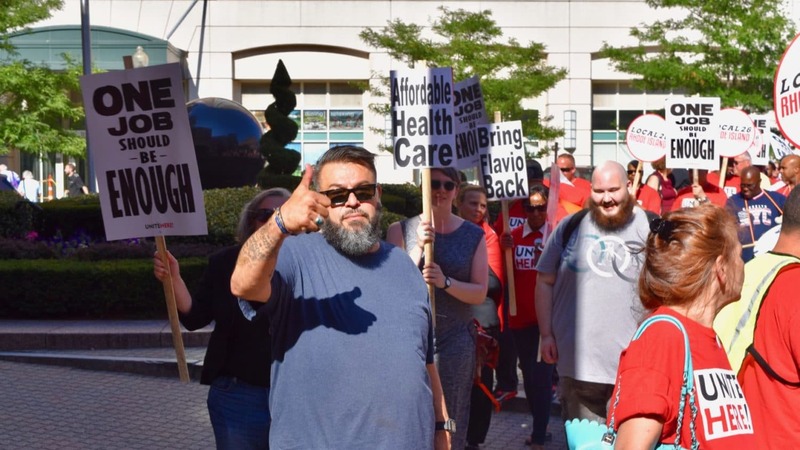 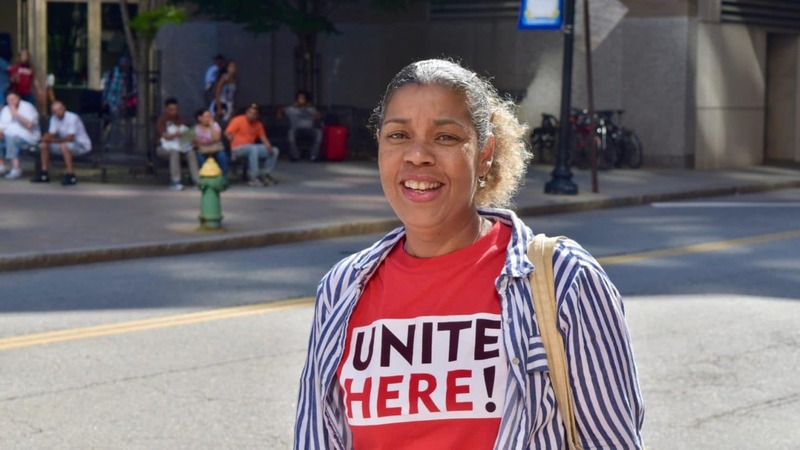 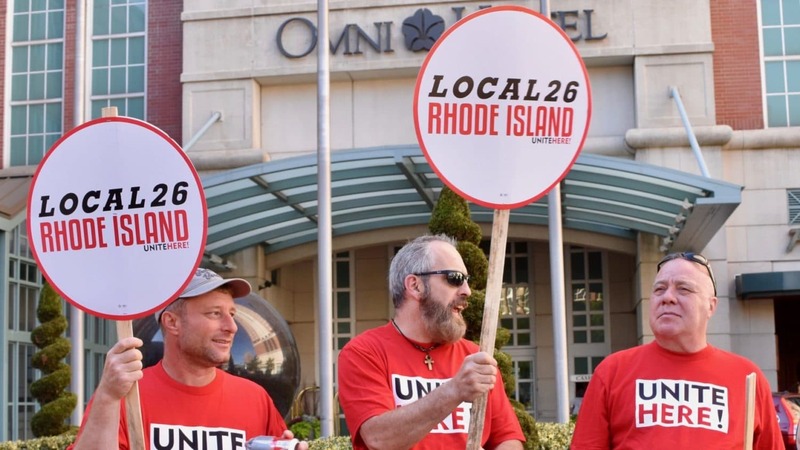 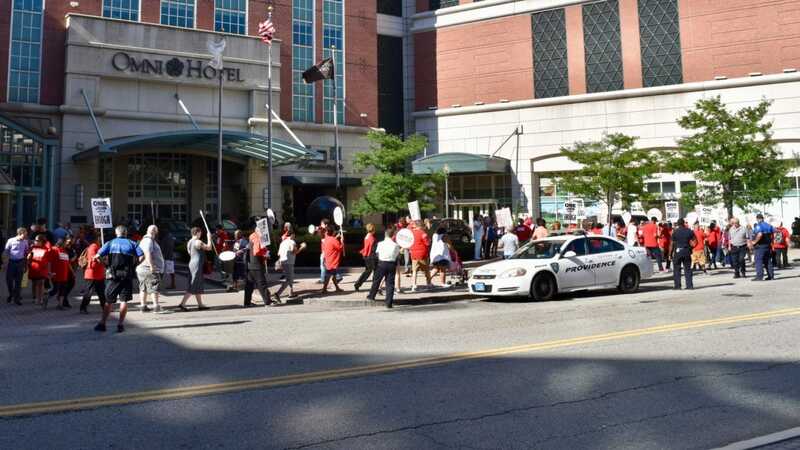 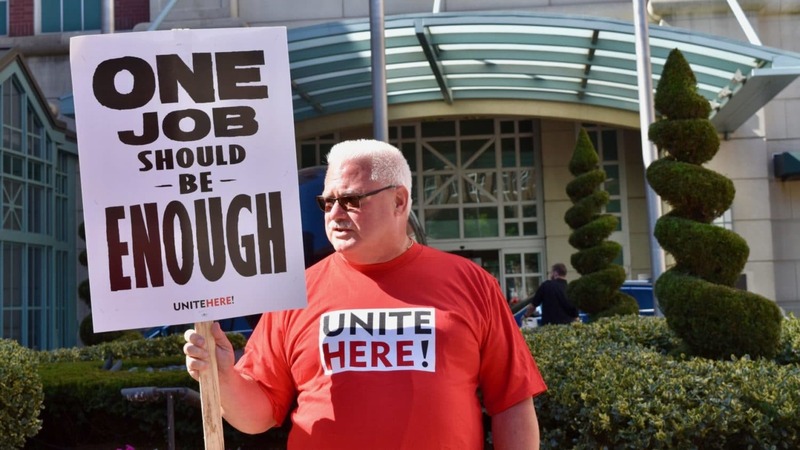 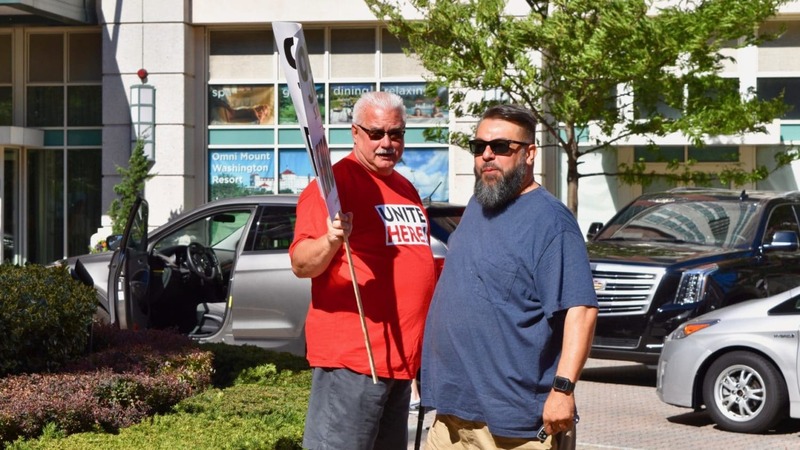 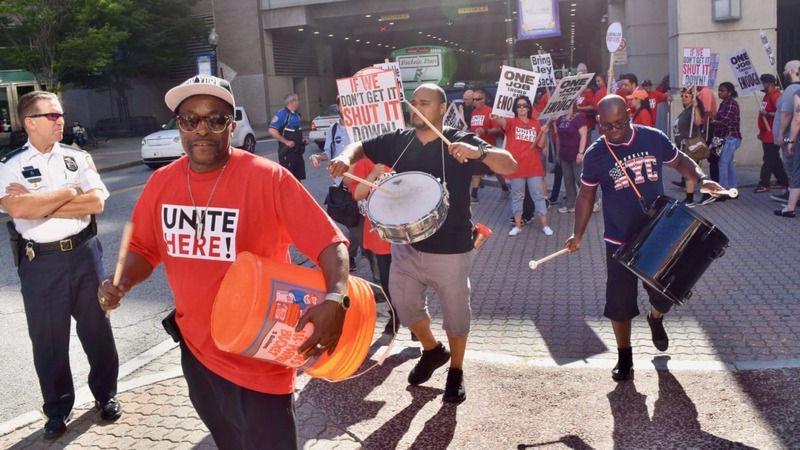 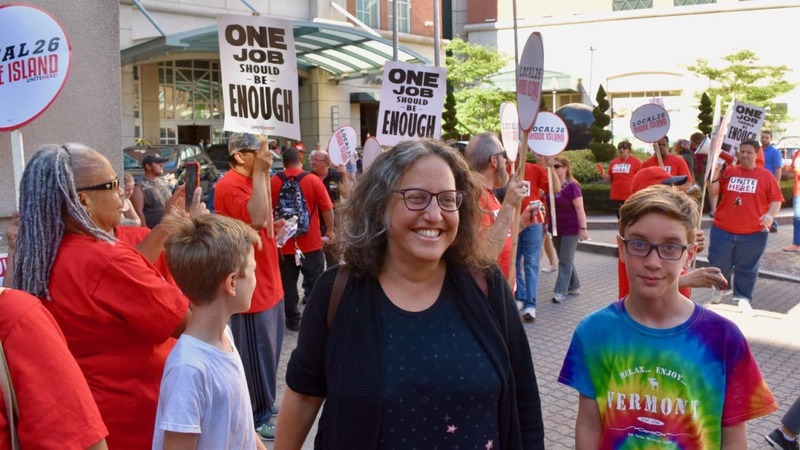 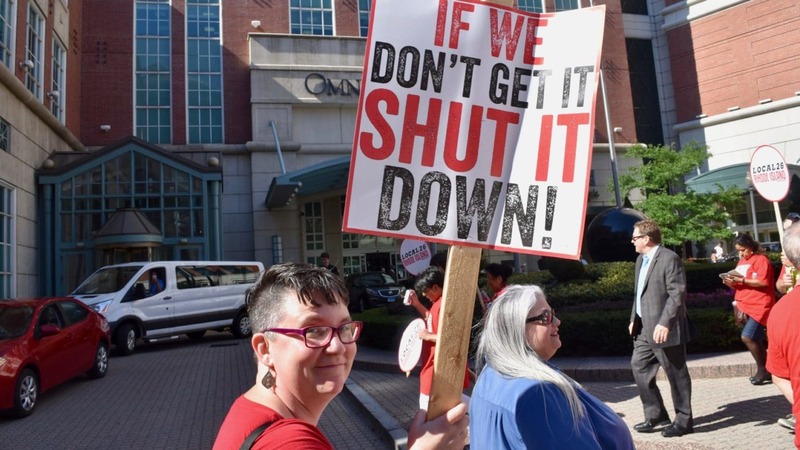 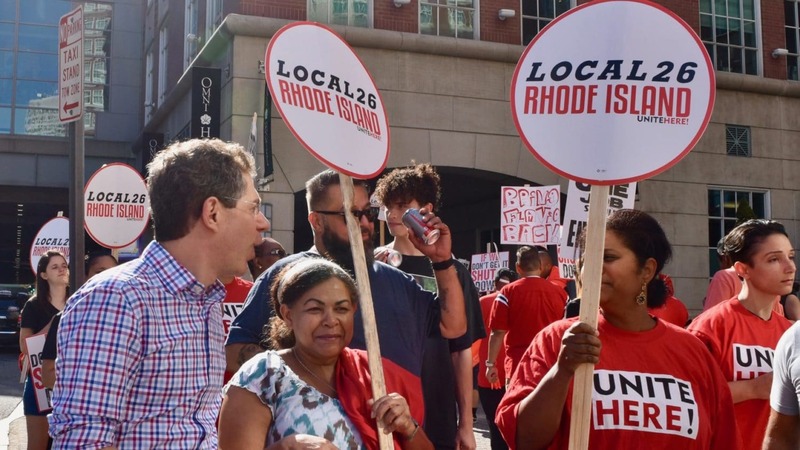 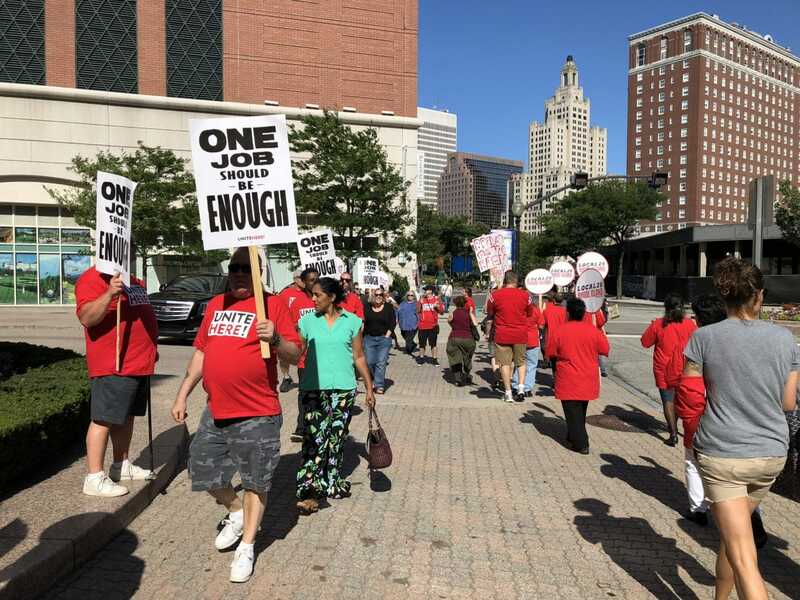 Hundreds of UNITE HERE Local 26 workers and allies picketed outside the Omni Providence Friday evening to bring attention to their fight for a new contract that includes fair wages, reasonable workloads and affordable health care. 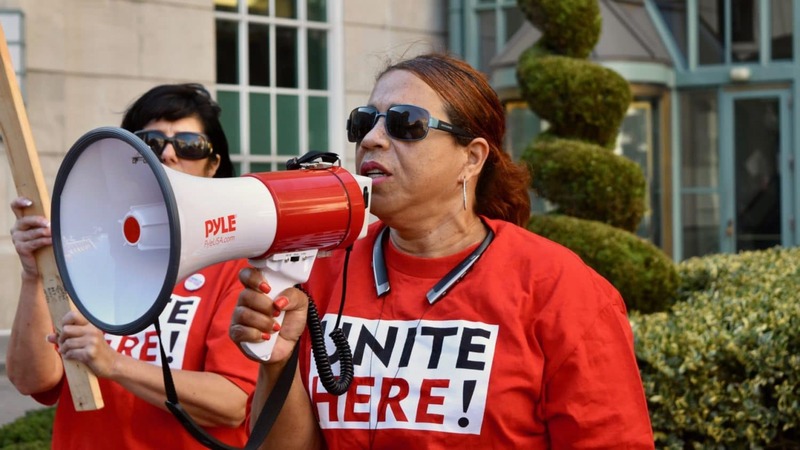 The worker’s last contract expired January 31, 2018. 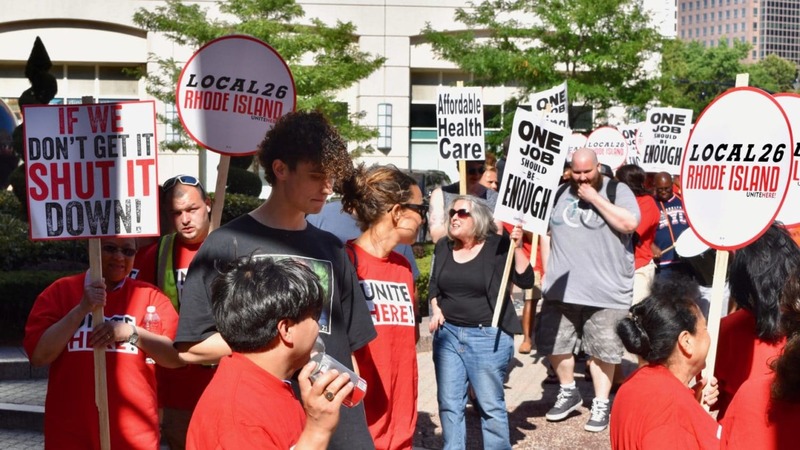 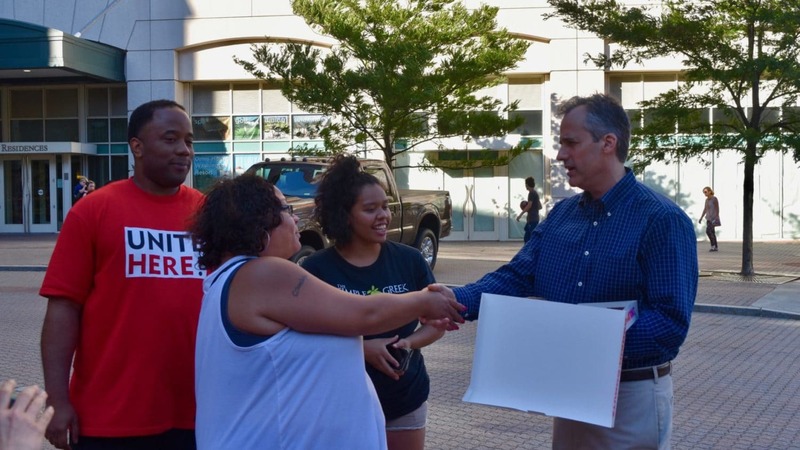 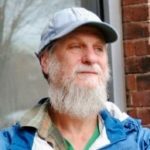 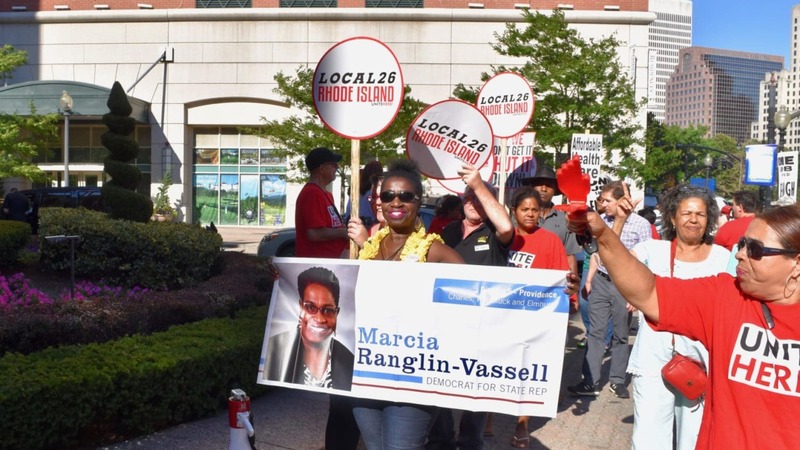 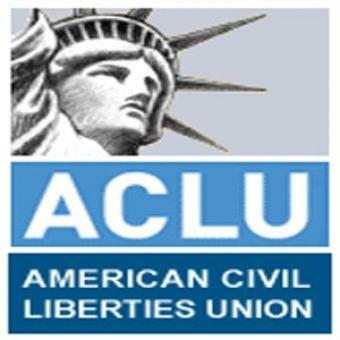 Local community groups joined the action in support, including members of the Providence Student Union, Teamsters Local 251, Rhode Island Labor Council, Rhode Island Progressive Democrats, the Providence Democratic Socialists of America and the Brown Student Labor Alliance. 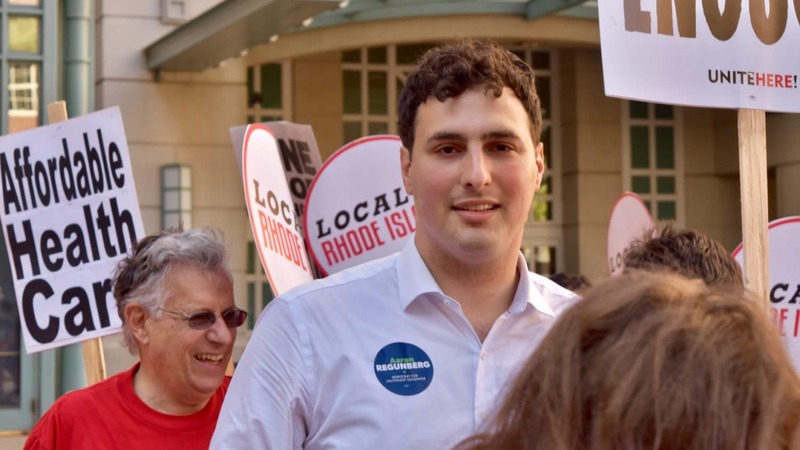 Elected officials included Rhode Island State Treasurer Seth Magaziner, Rhode Island State Senator Jeanine Calkin (Democrat, District 30, Warwick), Rhode Island State representative Aaron Regunberg (Democrat, District 4, Providence) and Providence City Councilmembers Seth Yurdin (Ward 1), Nicholas Narducci (Ward 4), Carmen Castillo (Ward 9), and Luis Aponte (Ward 10). 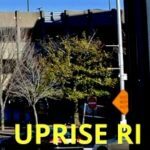 Candidates for elected office included candidate for Governor Matt Brown, candidate for Lieutenant Governor Aaron Regunberg, candidate for Mayor of Providence Robert DeRobbio, Scandidate for state senate district 5 Sam Bell, candidate for state senate district 7 Shannon Donahue, candidate for state senate district 22 Melanie DuPont, candidate for state representative ward 4 Rebecca Kislak and Providence City Council candidates Jason Roias (Ward 4), Aaron Jaenig (Ward 5), Deya Garcia (Ward 8), Cyd McKenna (Ward 13) and Rachel Miller (Ward 13). 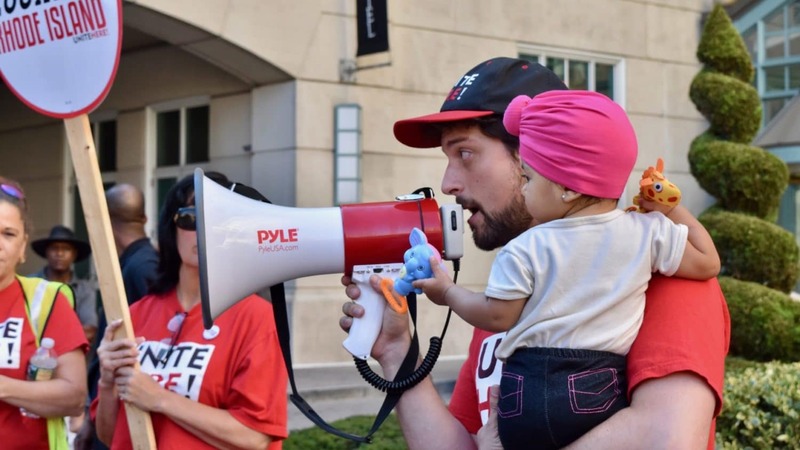 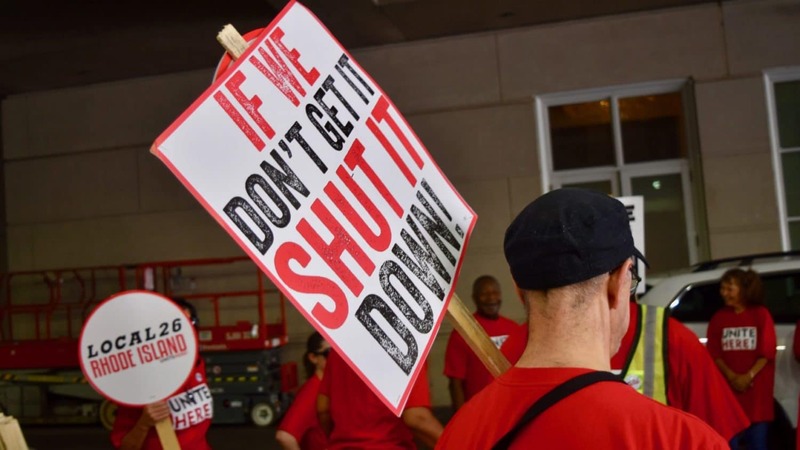 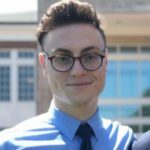 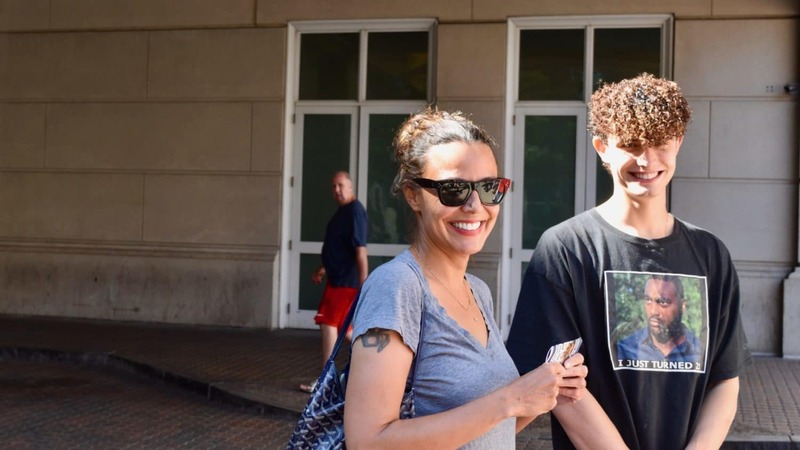 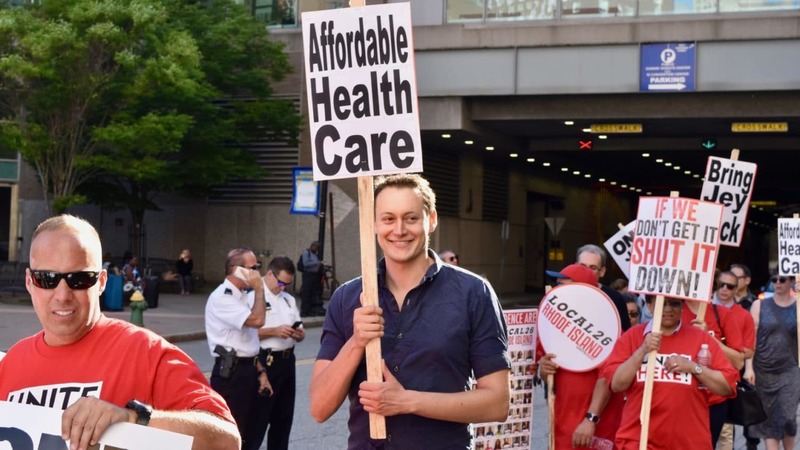 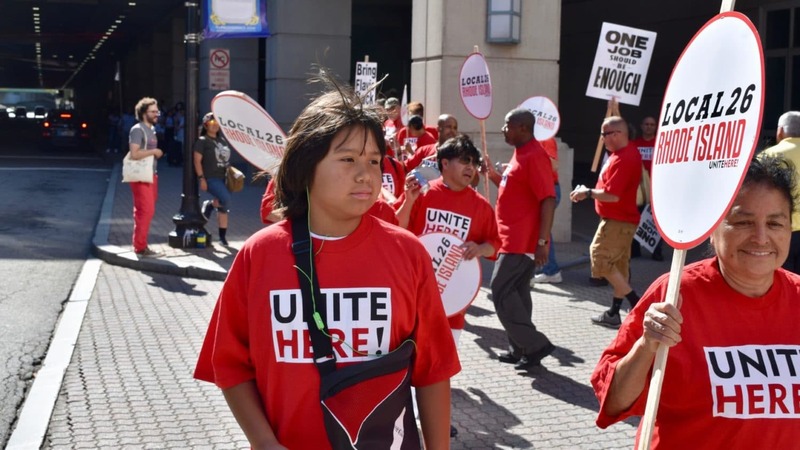 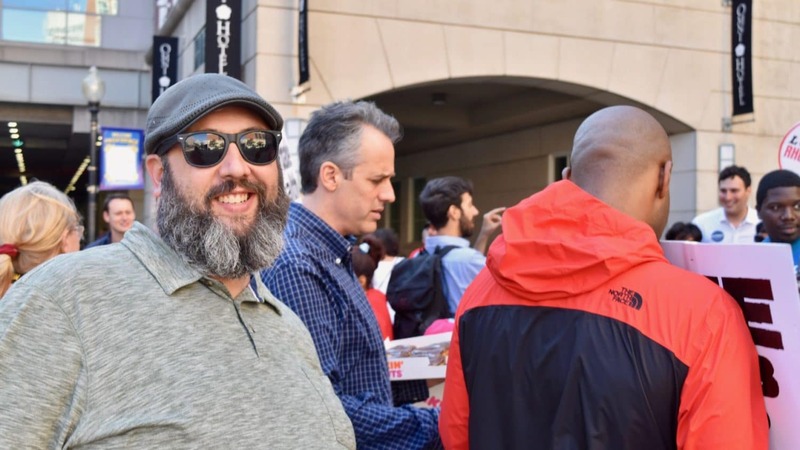 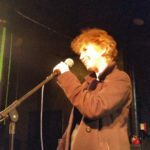 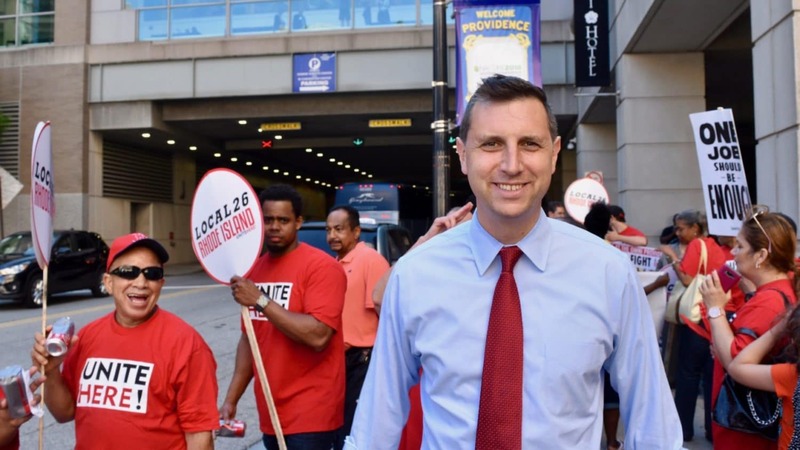 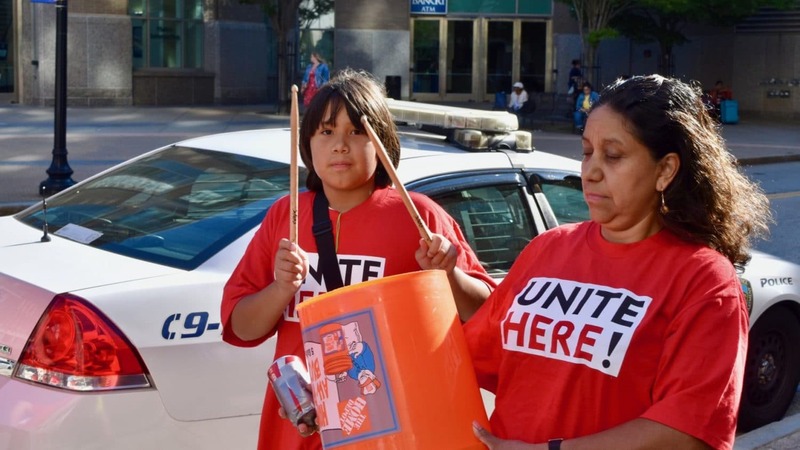 Below are video and pictures from the picket, starting with Unite Here organizer Jonah Zinn.